As an electronic engineering student, printed circuit board is the most common and familiar term for you. Before circuit boards were in use, the circuits were constructed over boards having pours and copper layers on its back. The process was very tedious and laborious, therefore circuit boards were introduced. 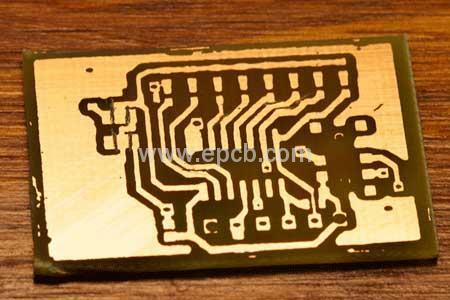 There are alternative layers of various materials in PCB boards which are being laminated along each other with the heat and adhesive material to make a single object. They are silkscreen, solder mask, copper, and substrate. FR4 is a very common substrate as the very basic fiberglass material used in PCB boards. The core is enabling circuit board to have thickness and rigidity. You can find different circuit boards depending on its thickness. The very next layer of the circuit boards is the layer of copper foil. These layers are laminated to board with adhesive material and heat. Typically, the circuit board has a double layer, and copper is applied to both sides of the substrate. For electronic products with lower cost, copper may be applied to single sides only. The number of layers of the circuit board usually refers to the number of copper layers on the board. The layer on the top of the copper foil is called solder mask. This layer makes the circuit board green and covered on the copper layer for isolating the copper traces from any accidental contact with solder, metal or conductive. This layer is helping to correctly solder components on the circuit board.